Welcome to North Texas CDC. Our team specializes in assisting small businesses purchase real estate, fund new construction, expand locations, and finance fixed assets/machinery. 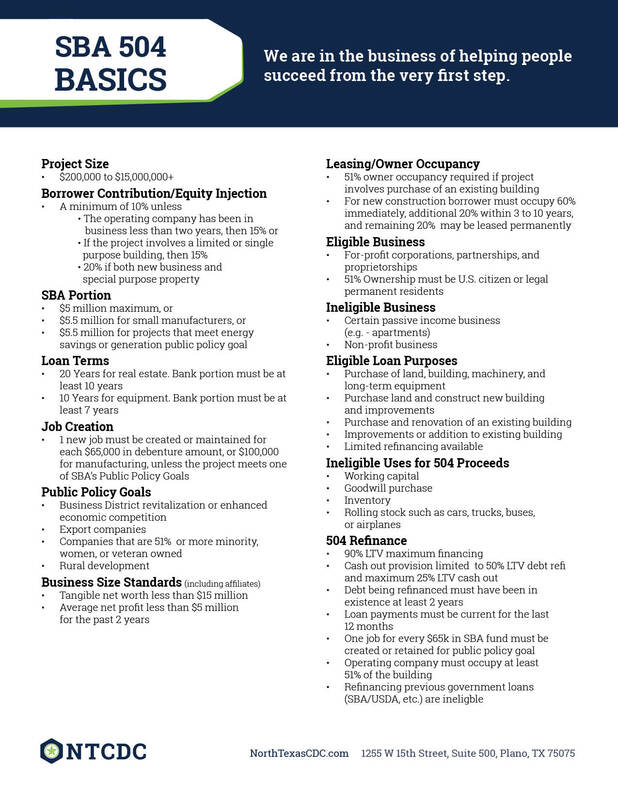 Contact one of these loan officers to see if your project qualifies for the SBA 504 program. We are happy to review your business and guide you through the loan process. You can count on us to help you get the best loan for your business. If it does not fit the SBA requirements, we will refer you to resources that will help you grow your business, no matter what stage it is in. We work closely with local Small Business Development Center offices. 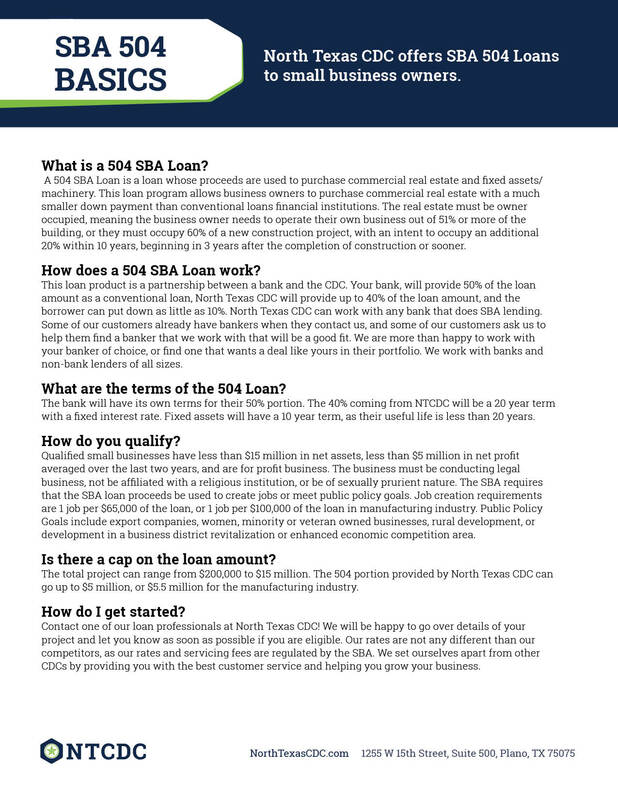 SBDCs are SBA funded resource centers for small business owners. They provide services such as putting a business plan together, applying for financing, and estimating projections. Most of their services are provided free of charge, while they have some seminars and classes provided at a nominal fee. Use their website to find the SBDC that serves your area, and set up an appointment. Your personal business advisor will assist you with our loan application process.